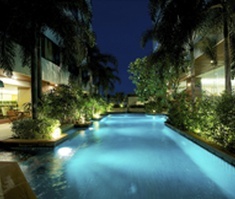 The Jasmine City Hotel is a hotel in the centre of Bangkok which offers the most intimate and welcoming atmosphere of a hotel and the best business commodities of a service apartment. 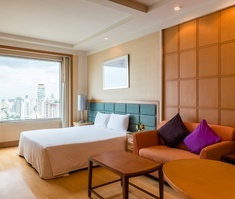 This hotel and service apartment in Bangkok is ideal for both business and leisure guests, as it is located at the heart of Sukhumvit 23 Road and within walking distance to the BTS skytrain Asok Station. 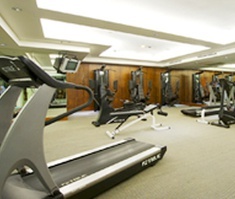 Enjoy a stay in comfort and style in any of our studios and suites and make full use of premium services and facilities such as fitness centre, resort style swimming pool, outdoor Jacuzzi, limousine service or fully-equipped boardrooms. 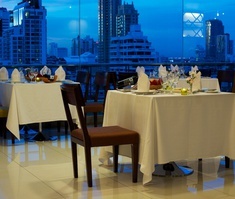 Discover now our modern & luxurious hotel in Bangkok. Make a reservation on the official website of the Jasmine City Hotel at the best price online.